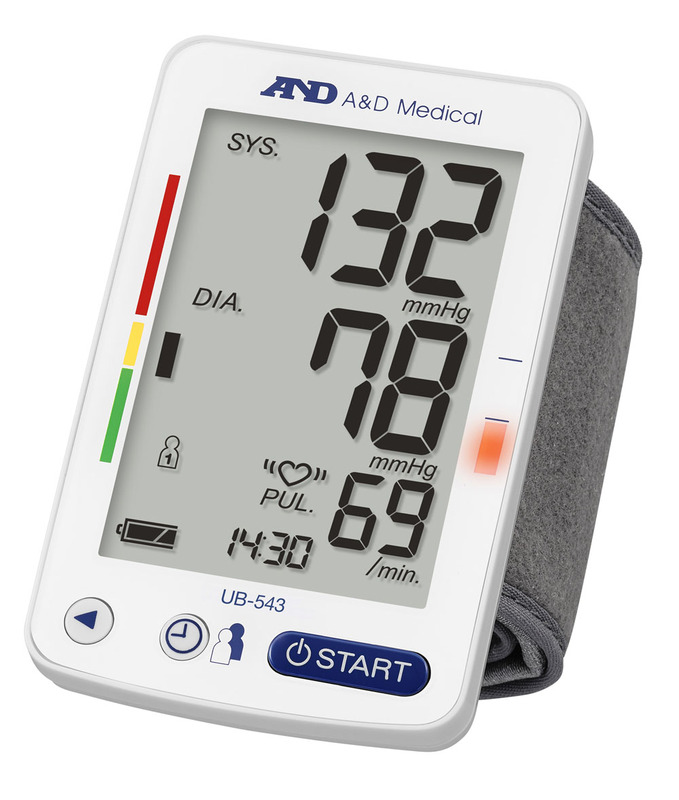 The UB-543 Automatic Wrist Monitor benefits from many of the features developed by A&D for professional clinical use including the ability to screen for AFib (Atrial Fibrillation) in a single measurement. Please refer to the clinical paper: Diagnostic accuracy of a new algorithm to detect atrial fibrillation in a home blood pressure monitor for further information. The UB-543 has a simple blue/orange display indicator to help guide the user to ensuring the device is ‘seated’ correctly first time, every time. The A&D UB-543 also benefits from the dual user mode, allowing the recording of up to 60 recordings for two users. It also incorporates the average value feature of the stored data, as well as the WHO Blood pressure classification indicator to allow the users to better control their management programs. 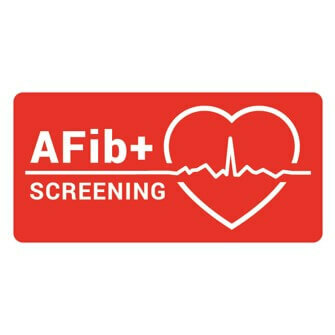 It also boasts A&D’s unique technology for Irregular Heartbeat (IHB) and AFib screening/Circadian Rhythm analysis technology, pioneered by A&D in 2001 and now found on most of our range of blood pressure monitors. This A&D ground breaking technology is now used worldwide assisting in the opportunistic detection of arrhythmias – which include AFib (or Atrial Fibrillation).